Investment Implications of the New Tax Law | Blackstone Valley Wealth Management, LLC. After more than a year of political posturing and investor anticipation, Congress finally approved a $1.5 trillion tax cut. On December 22, 2017, President Trump signed the 2017 Tax Cuts and Job Acts into law. Although the depth of detail this new law may be intimidating, on balance, its passage may provide firmer footing for investors as we begin the new year. The Joint Committee on Taxation suggests the estimated total cost over 10 years will be just over $1 trillion, with the offset of $500 billion in added revenue from an estimated economic growth impact of +0.7% per year over the next 10 years. 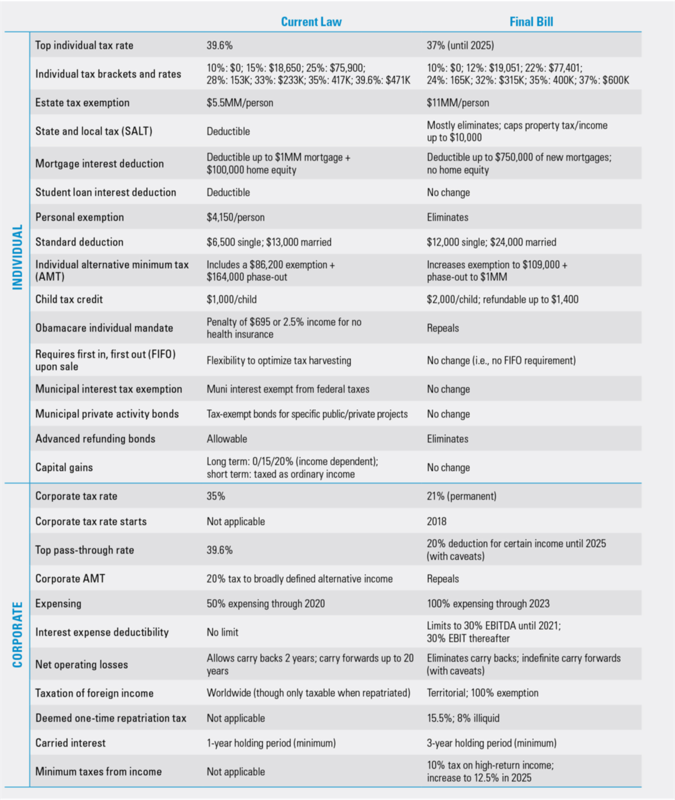 The estimated net tax cuts for individuals total approximately $1.15 trillion, or about 77% of the package, a greater focus on individual tax cuts than the original House bill. The estimated net tax cuts for U.S. Corporations total around $330 billion, or 23% of the overall package. The new tax law has important implications for major corporations, small businesses, and individual taxpayers, and is designed to shift the trajectory for economic growth, the federal budget, monetary policy, and perhaps the most critically for investors - corporate profits. 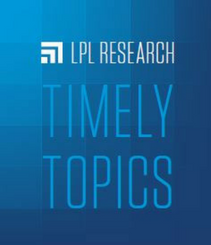 This research material has been prepared by LPL Financial, LLC. Tracking # 1-681414 (Exp. 12/18).